Zynga is laying off 520 employees, or 18% of its workforce, and will close down a few office locations. Zynga on Monday announced it will lay off 520 employees, or 18% of its workforce, as part of an effort to stabilize finances at the struggling video game company. The job cuts will be issued across all parts of the company, and Zynga will close down a few office locations. The "Farmville" maker didn't say which offices will be shuttered, but the tech blog AllThingsD reported that New York, Los Angeles and Dallas are on the chopping block. Zynga said the "substantial" cost reductions from the layoffs will save the company $70 million to $80 million a year. Shares of Zynga (ZNGA) tumbled 10% on the news. "None of us ever expected to face a day like today, especially when so much of our culture has been about growth," Zynga CEO Mark Pincus wrote in a blog post. "But I think we all know this is necessary to move forward." Social gaming has become so popular that it's been difficult to maintain a leadership position, Pincus added. The company reaffirmed its revenue and earnings per share guidance for both the current quarter and the full year. But Zynga now expects a net loss of between $28.5 million and $39 million during the current quarter, worse than the $27.6 million loss analysts surveyed by Thomson Reuters had been expecting. It's been clear for months that the social gaming company is in trouble. The December 2011 IPO was disappointing, Zynga's purchase of "Draw Something" maker OMGPOP was disastrous, and many of the company's games have been underperforming. In October 2012, Zynga cut 5% of its employees, closed its Boston offices and proposed closures of its Japan and U.K. offices. Worse, Zynga also announced it would be shuttering about a dozen games -- and about five more have been shut down since then. Both CFO Dave Wehner and chief game designer Brian Reynolds have left the company in the past few months. As a result of these problems, Zynga's stock is languishing below $3.50. Yet shares are up nearly 30% this year on hopes that Zynga's steps into legal gambling could pay off. 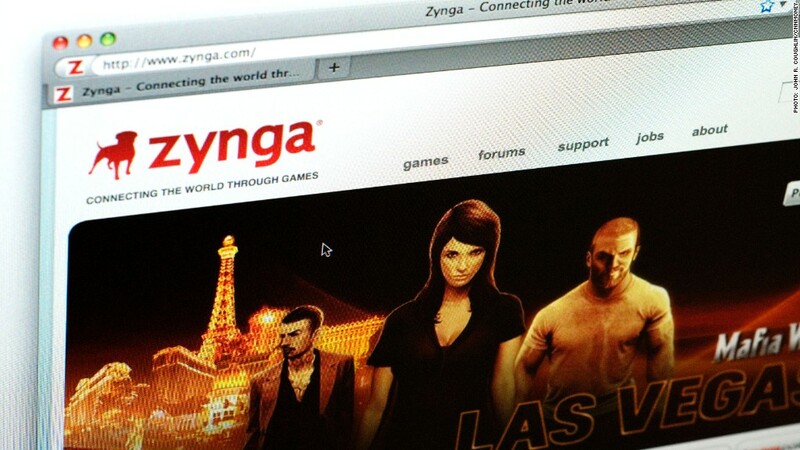 In December, Zynga filed an application for a gaming license in Nevada. Zynga had previously announced a partnership with bwin.party, a British gaming company that specializes in online sports betting, poker and bingo.